GlobalGiving - Meet the Farmers - Tarahumara Farm and Run Fund , pigs, chickens, dogs, and cats. They make goat cheese to buy or trade for staples such as salt, cooking oil, etc. Angelina is a legend in her part of the canyons from her years as reigning champion of ariweta, a traditional team foot race for women that involves tossing a ring with sticks for distances up to 40 miles. Catalina is Angelina's oldest daughter. She worked worked alongside her mother during last season's chia harvest. She will manage the work in Urique at Rancho Las Delicias, planting peanuts and vegetables to distribute to other participants and tending chile chiltapin. 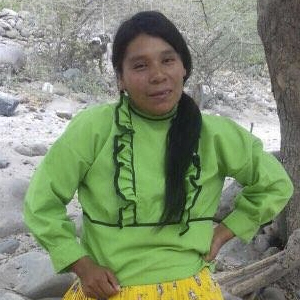 Because of her duties at home she never attended school but began learning Spanish at 14 (Raramuri is her native language still spoken among most Tarahumara). Her knowledge of agriculture and capacity for hard work are equal to anyone in the canyons. She participated in the Ultra Marathon Caballo Blanco 85K and is preparing for the Ultramaratón de los Canones 100K. She also runs ariweta. 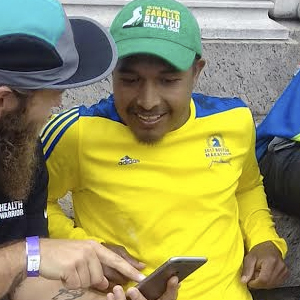 Silvino is one of the most famous Tarahumara long distance runners and in the Sierra Tarahumara is held in high esteem for his successes in rarajipari. He has raced in Mexico, Argentina, Costa Rica, Japan, France, Spain, Brazil, and Austria. He is a loyal father to his five children and a leader in his community. In June 2017 he placed first in the 130K ultra in France. 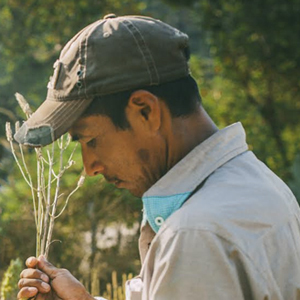 He lives in Huisuchi, elevation 6,000ft, in a Tarahumara village of about 20 families. He is a farmer and sandal maker. Last season he managed the chia project at Rancho Las Delicias in Urique and this year he will plant chia at his farm in Huisuchi. Miguel's record as an ultramarathon runner is very impressive. He has won first place in more than 20 races including Ultramarathon Caballo Blanco (3 years), Ultramaratón de las Canones (3 years) and the Born to Run Series (3 years), plus many others. He participated in the Boston Marathon 2017 and recently participated in a 130K race in France. His wife Maribel and their son Hector live in Porochi at an elevation of 5,000ft in the mountains above Urique. Miguel and Maribel worked this past season planting chia in Urique and will plant chia again this year at their farm in Porochi.